GETTING inspiration from her parents, Tiffany Claire Nocos bagged her fifth title of the year via the 23rd JRG Gullas Tennis Cup, which came to an end yesterday at the Alta Vista Golf and Country Club for the girls division and the Citigreen Tennis Resort for the boys division. Nocos led five other Cebuanos in bagging six of the nine singles titles at stake in this Group 1-sanctioned tournament by the Unified Tennis Philippines. Nocos of Lapu-Lapu City clinched the girls’ 14-Under title with a 6-3, 6-1 routing of top seed Corazon Lambonao of Ormoc City. “I dedicate my win to my parents because they were the ones who influenced me to play tennis,” said the 12-year-old netter, who has been playing the sport since she was in third grade. Nocos was also a runner-up in the girls’ 16-Under class, losing to San Carlos, Negros Occidental’s Bliss Bayking, 7-6 (7-3), 2-6, 8-10, in a tightly contested finals between the unseeded players. “I just have to practice harder to be able to get back at her,” said the Green Garden Christian School student of her loss to Bayking. The title rout for Cebu was started by 10-year-old Aaron Kevin Tabura who defeated Valencia, Negros Oriental’s Shara Louise Paliwag, 2-4, 4-0, 5-3, to rule the 10 Under Unisex. The rest of the titles in the Girls division were bagged by CJ Thalia Suson and Elizabeth Abarquez. Venz Alforque and Vinz Lominoque, the boys’ U18 doubles champions. Suson of Liloan took home the 12 Under Girls title via a 6-3, 6-4 dismissal of Siquijor’s Faith Kiarra Banico while Abarquez of Carcar City dominated fellow Cebuano Zethley Mae Alferez, 6-2, 6-0, for the 18 Under Girls title. In the Doubles Girls, Abarquez and her partner, Pherl Bless Coderos, also got the better of Alferez and Lyra Mae Repollo, 8-3, for the 18 Under Girls Doubles title. The 14 Under Girls Doubles title went to Lambonao and Mia Gemida, who defeated the pair of Shai Masicampo and Joannah Perral, 8-4. The 10 Under Unisex doubles title was brought home by the duo of Reynante Bravo and Chauncy Aguanta who trashed the pair of Tabura and Gavin Kraut, 8-1. 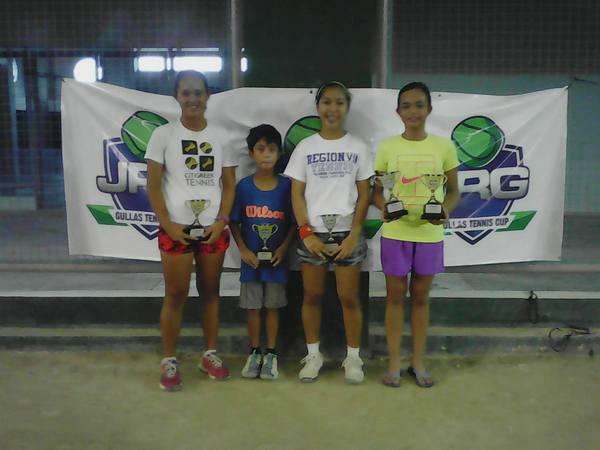 At the Citigreen Tennis Resort, two Cebuanos copped titles. 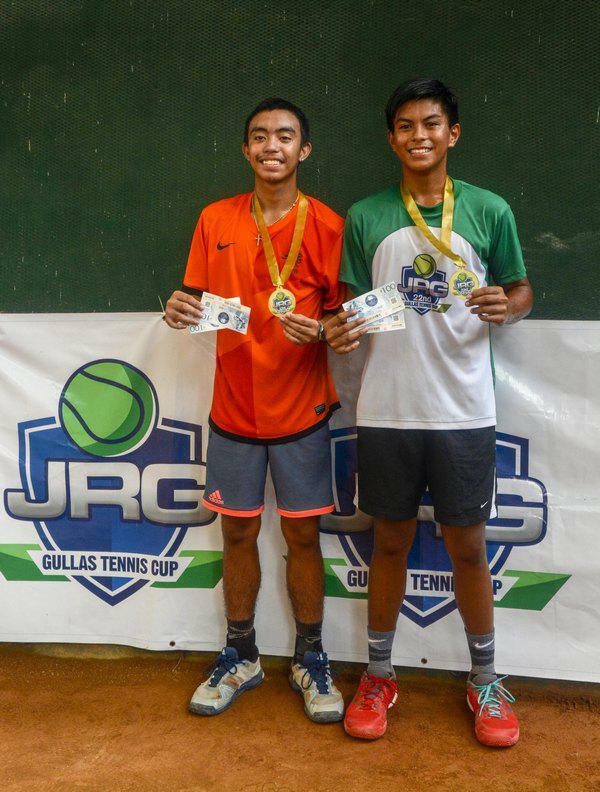 Venz Alforque bagged the 16 Under Boys title with a 6-3, 7-6 outsmarting of Dumaguete’s Guillian Bandoquillo. The unseeded Vinz Lominoque also took home the 18 Under Boys title with a 6-4, 6-1 lambasting of fellow Cebuano Francis Gener Lambayan. The other two titles in the Boys division were clinched by Maranding, Lanao del Norte’s Heinz Aslan Carbonilla, an emerging name in Philippine tennis. In the Doubles competition, Carbonilla partnered with Agustines to carve an 8-5 win against Fernando Caesar Po and Pete Andrei Rodriguez for the 14 Under Boys Doubles title. Cebuanos Alforque and Lominoque also teamed up to bag the 18 Under Boys Doubles title against Marc Rhandel Pradel and Aaron Jacque Geromo with a score of 8-3.